Masayoshi (正良) was born in 1733. He was the son of the second generation Masayoshi (正良) and is sometimes referred to as being the third generation Masayoshi (正良). Masayoshi’s (正良) family name was Ichiji and he had three first names, Jiemon, Kakazo, and Shoei. His first mei was Masayoshi (正良)and his works are extant from around Hôreki (1751). Masayoshi (正良) was employed by the Satsuma clan and used the inscription, “Satsuma Kanko“, in his signature in 1793. This means official smith of the Satsuma clan. He received the title, Hoki no Kami, (伯耆守) in Kansei Gannen (1789) at the same time as the other famous Satsuma smith, Motohira (元平), received the same title. From that time on, Masayoshi (正良) changed the kanji character, Yoshi (良), used in his name to another kanji character with the same pronunciation (幸). Since this new kanji character can also be pronounced Yuki, he is sometimes known as Satsuma Masayuki (薩摩正幸). The last dated blades made by this smith were made in Bunka 14 (1817). He died in the second year of Bunsei (1819) at the age of 87. Masayoshi (正良) was one of the two master smiths of the Satsuma school in Shinshinto times. It is said that more than forty students studied under him. The school includes his son, Masakuni (正国), and Yoshimoto (良元). In this school the characters, Yoshi (良) or Masa (正) are commonly used by students as part of their smith names. Sugata: Most of his blades have a wide mihaba, thick kasane. 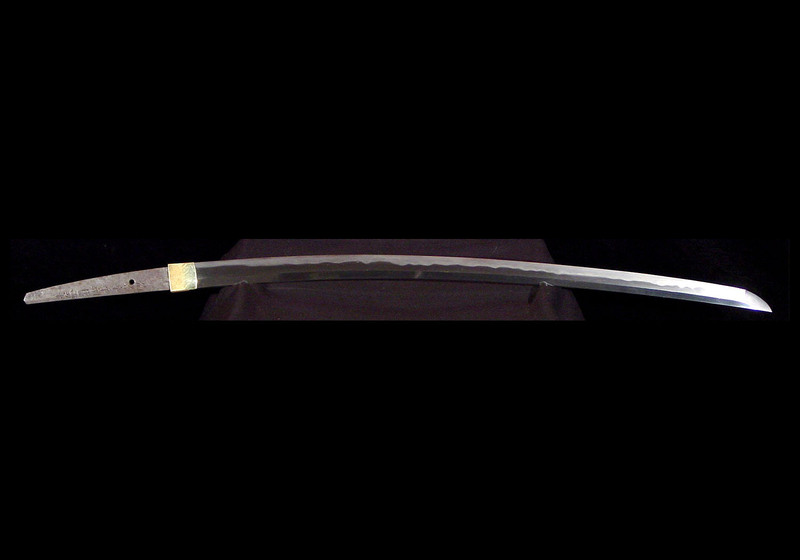 The wakizashi tend to have an o-kissaki, but this is rare on his katana. Of course there are always exceptions. 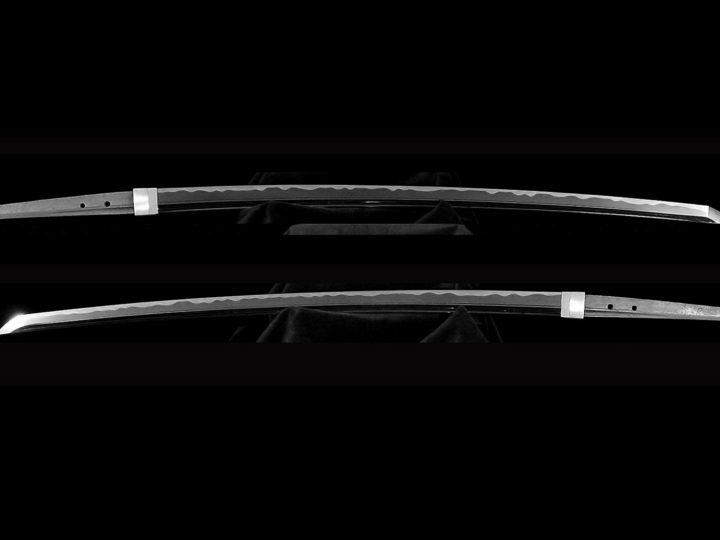 The blades tend to have a shallow sori a wide mihaba, and a grand sugata. Occasionally, very long swords may be found. Many blades with have hira-niku. Tanto tend to be rare. Jitetsu: The Keicho-Shinto style of jigane is densely forged. 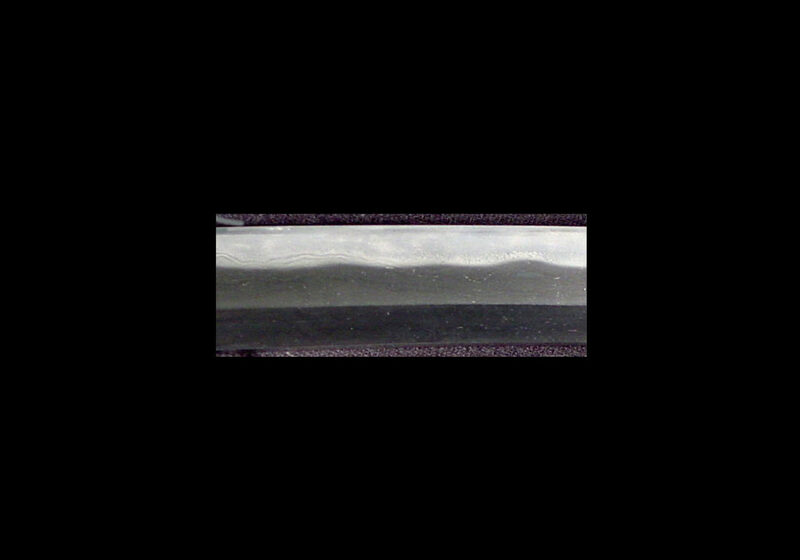 Black lines similar to chikei, but thicker and longer appear in the ji. This is known as Satsuma gane. 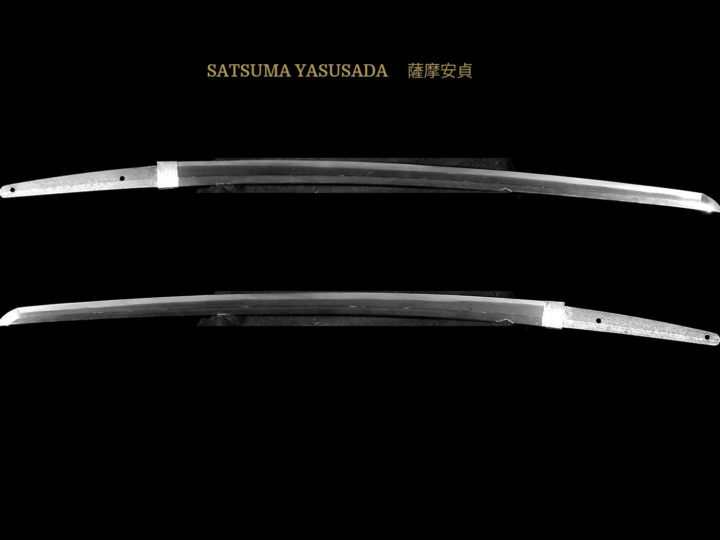 Satsuma yakidashi, like Koto blades, start with midare. The jigane will be densely forged and clear. 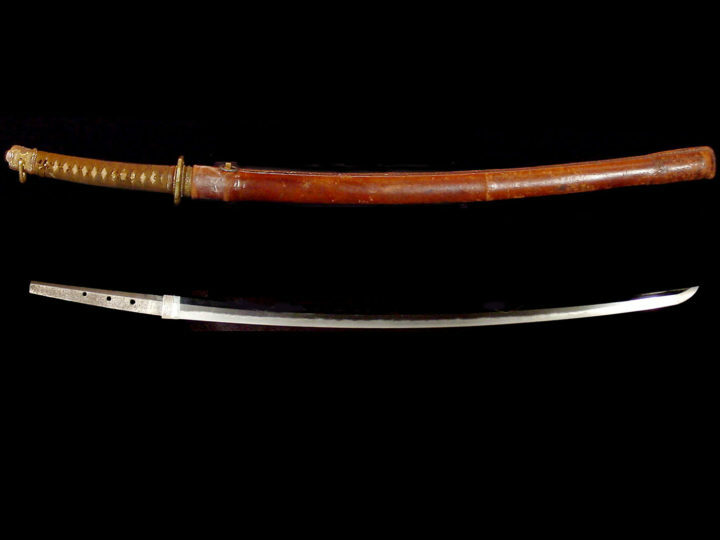 The jihada is a fine itame with areas of mokume-hada with Satsuma gane and abundant ji-nie. Hamon: The hamon will be nie deki forming the beautiful and flamboyant Soshu-den o-midare and will consist of ara-nie mixed with some togareba that is inclined to be nie-kuzure. Even when the temper lines are notare-midare and hiro-suguha, there will be many ara-nie. There is no clear nioi-guchi in the border between the ji and the ha because the nie in the hamon is ji-nie, so that it is difficult to distinguish between the ji-nie and the ha-nie. Thick inazuma will appear in the habuchi and inside the hamon. These are known as imozuru (potato vines) and are an important Satsuma characteristic. Boshi: They tend to be midare-komi in a small pattern. Kaen boshi with nie kuzure with a round tip (ko-maru) will be common. 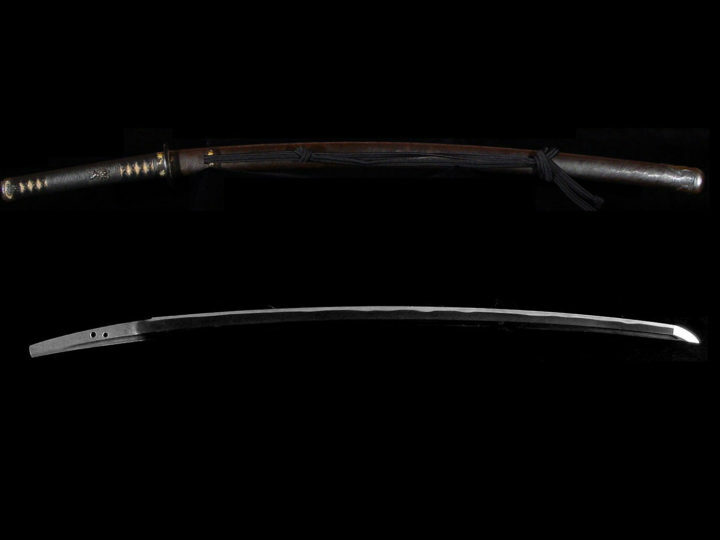 The yakihaba will be narrow in comparison to the hamon. Occasionally a long kaeri will be found. Horimono: Bo-bi can be seen but horimono is rare on Satsuma works. Rarely on the works of Masayoshi there will be large sized engravings of ryû or other carvings. These are thought to have been done by Masayoshi himself. Nakago: Funagata with a bulging edge on the cutting edge side. The mune of the nakago will be rounded or slightly rounded. The nakagojiri is generally iri-yamagata, the yasurime are kiri or slightly katte-agari.